There is an increasing emphasis on post-qualifying training for social workers, especially in the complex and demanding area of working with children and families. This essential textbook is especially designed for practitioners studying at this level. Supporting others in their professional development. 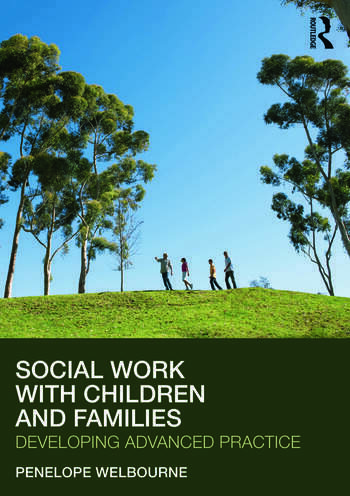 Using case studies and activities to link research, theory and practice, Social Work with Children and Families takes a wider look at the role and tasks of an experienced social work practitioner, and the skills and knowledge needed to develop professionally from this point. Penelope Welbourne is Programme Lead for the MA in Social Work at the University of Plymouth, UK. She has research interests in the areas of child protection, child law and children’s rights and the development of social work as a profession.